Yardage - Whole Yards Only Note ! If you need more than the 30 Yards we currently have in stock, please make a different selection as additional yardage is not available. In stock yardage is typically shipped within 2 business days. Gold Ore is a textured, woven, stripe and circle pattern shown in Bright Gold, Olive Green, Forest Green and Burnished Gold. A variety of weaves give this design its physical texture. The overall repeat is Vertical of two and five eighths inches and a Horizontal of one and one eighth inch. The largest circle measures approximately three eighths of an inch across. 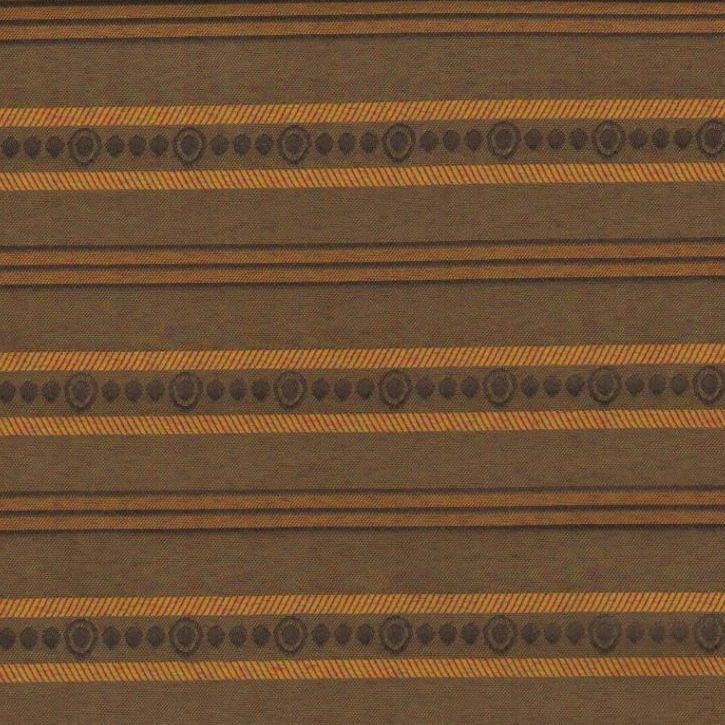 This is a railroaded pattern with the stripes running from selvage to selvage. Gold Ore is suitable for cornice boards, pillows, cushions, bedding, headboards and furniture upholstery.